Home → Blog → Set Your DVRs Now! 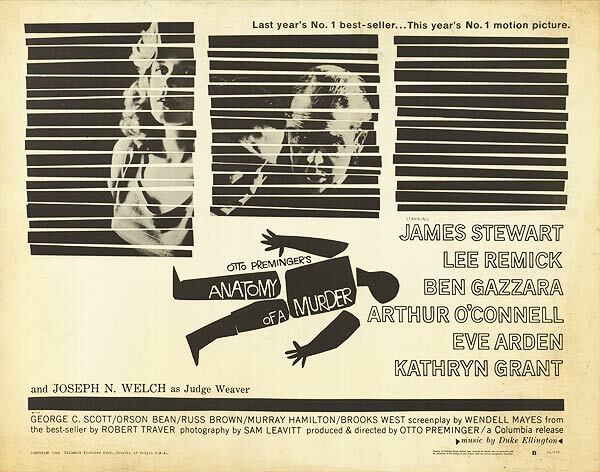 Justice John Voelker’s best selling novel-turned-Academy Award nominated film, Anatomy of a Murder, will air on Turner Classic Movies at 5 p.m. Wednesday, December 16. It is part of an entire day dedicated to law & order on the classic film channel. Other features include Billy Wilder’s Witness for the Prosecution and 12 Angry Men starring Henry Fonda. For the full listing of what airs when, visit the TCM website here. To read more about Anatomy of a Murder and watch a clip, visit IMDB here. The film poster at left is available for purchase here ($$$). Learn more about John Voelker’s time on the Michigan Supreme Court by reading his biography here; his role in the Verdict of History here; and oral history here. He even has his own Foundation here.